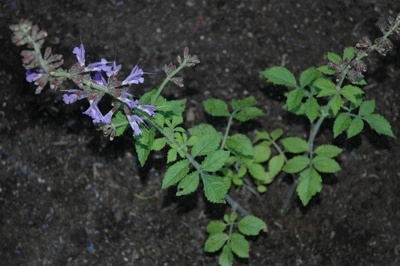 Dan Shen (Salvia Miltiorrhiza) other names: Ch'ih Shen, Chinese Red Sage, Chinese Salvia, Dan Shen, Dan-Shen, Huang Ken, Pin-Ma Ts'ao, Racine de Salvia, Radix Salviae Miltiorrhizae, Radix Salvie Miltiorrhiae, Red Rooted Sage, Red Sage, Sage Miltiorrhiza, Salvia bowelyana, Salvia miltiorrhiza, Salvia przewalskii, Salvia Przewalskii Mandarinorum, Salvia Root, Salvia yunnanensis, Salviae Miltiorrhizae, Sauge Rouge, Sauge Rouge Chinoise, Shu-Wei Ts'ao, Tan Seng, Tan-Shen, Tzu Tan-Ken. The herb called the dan shen is a native of Mongolia and Manchuria in East Asia; the dan shen is a very hardy and tough perennial mint growing in large areas of East Asia - where the dan shen is cultivated for a variety of uses. The dan shen can reach up to thirty two inches or eighty centimeters tall, the oval leaves of the dan shen bear characteristic toothed edges and the the dan shen also has very distinctive clusters of purple flowers when in bloom. Herbal remedies are made mainly from the root of the dan shen which is normally harvested starting in the late autumn through to the early spring of the next year. 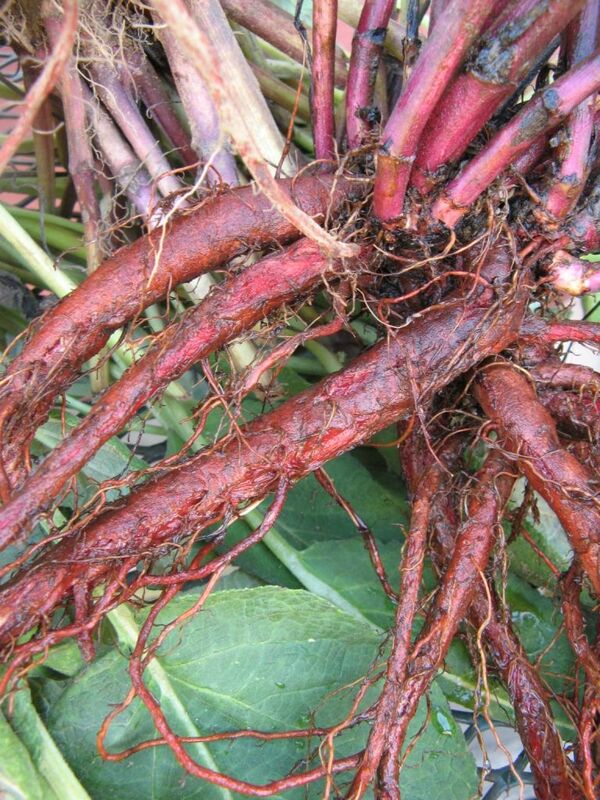 The root of the dan shen is also very distinctive in morphology and is has a purplish-black and coarse interior, with the presence of numerous small white spots within its tissues. Dan shen is an herb. 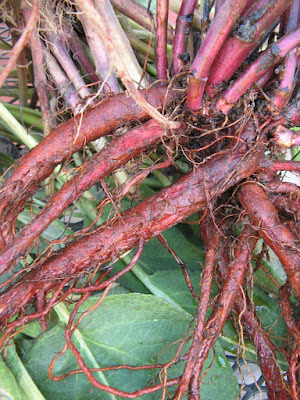 People use the root of the dan shen to make medicine. Dan shen is used for circulation problems, “brain attack” (stroke), chest pain (angina pectoris), and other diseases of the heart and blood vessels. 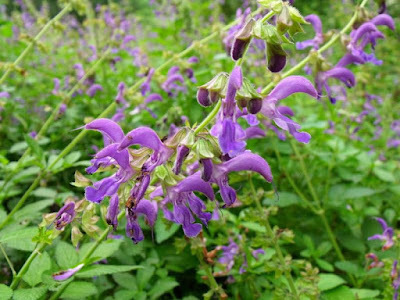 Dan shen is also used for menstrual disorders, chronic liver disease, and trouble sleeping caused by complaints such as rapid heartbeat and tight chest. Some people use dan shen for skin conditions including acne, psoriasis, and eczema. Dan shen is also used to relieve bruising and to aid in wound healing. The main use of the herbal remedies made from the dan shen is in the role of a tonic for the heart in affected patients. The herbal remedy ensures the cardiac muscles maintain a regular rhythm and also tones and strengthens the heart at the same time - helping it maintain a steady and regular beat. The remedy is also helpful and beneficial to the overall functioning of the other organs within the body of patients such as the liver where it helps stimulates the secretion of bile and aids in hepatic function. The functioning of the thyroid gland is also believed to be helped and benefited by the dan shen, the remedy is believed to stimulate and promote the secretion from the gland, supporting the over all functioning of the thyroid in the body. The herbal remedies made from the dan shen were used extensively in many cultures as traditional plant based medicine, as an analgesic herb, to beat back pain arising from injury to the body. The nerve cells which suffer damage from free-radicals are also believed to be protected by the herbal remedy. For this anti-oxidative function, the herbal remedy could be beneficial in patients by preventing the damages to the body arising from alcohol and drug abuse in the long term. The following disorders and conditions are treatable using the peculiar beneficial effects of the dan shen: angina, long term atherosclerosis, and traumatic conditions such as stroke. The main ways, in which the herbal dan shen extracts can help in such conditions lies in their ability to bring about relaxation in the smooth muscles supporting the coronary arteries, the result is an increase in the circulation of blood to the heart and improvement in the cardiac muscles performance. The chemical known as tanshinone IIA1, is found in the dan shen herb, this particular compound is actually able to slow the rate of nerve impulse transmission within the heart muscles, these results in an overall reduction in the pulse rate, and the heart's ejection fraction is also correspondingly increased at the same time. In some instances the percentage of available cardiac blood that is pumped by the hearts main chamber into the circulatory blood vessels at each diastole is increased by the compound - resulting in greater circulatory output and improved blood flow within the body of the patient. The other use of the herbal remedy made from the dan shen is as a clot busting agent in the blood stream, the active compounds within the herb help in inhibiting the formation of clots, at the same time, this herbal also aids in reducing the total blood cholesterol levels and triglyceride levels - keeping the overall levels of both harmful lipids within healthy ranges. As mentioned before, the dan shen herb is a very efficient anti-oxidant and aids in protecting the heart tissues and the nerve cells from a form of free-radical damage called reperfusion injury, that can often come about following restoration of blood circulation after a sudden heart attack or a stroke, the herbal remedy carries out this beneficial effect by increasing the performance of the essential nutrient vitamin E in the blood - the dan shen herb also increases the beneficial effect of unsaturated fatty acids and keeps the heart healthy. Support for the use of dan shen based remedies for problems such as angina, stroke, and phlebitis has come from clinical researchers in China, who saw significant improvements in patients taking dan shen during the controlled tests. The probable inhibition by the dan shen in the recurrence of blockages following angioplasty has also been demonstrated in surgical trials involving animal test subjects. The herbal remedy based on the dan shen herb has also been seen to benefit individuals suffering from chronic fatigue syndrome – or CFS. The dan shen herb changes the rate at which the body absorbs and uses the mineral copper in metabolic processes; this has implications for blood clot formation in the human body and also has implications for chronic fatigue syndrome affected individuals. 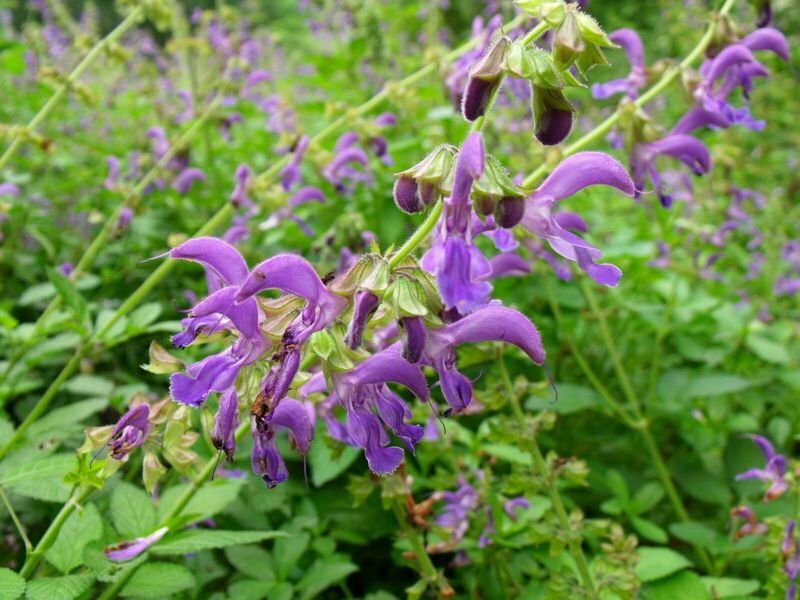 The active chemical compounds found in the dan shen herb slow down the production of a blood clotting protein called fibrin, this compound is the "rope" or surface along which new blood clots are normally suspended and is very important to the success of clotting. What these results mean for individuals affected by chronic fatigue syndrome (CFS), is that the herb precludes the formation of blood clots enabling the maintenance of normal blood pressure in the circulatory system - this physiological action indirectly helps the brain to keep receiving enough oxygen necessary for normal functioning and overall fatigue in the system is beaten back. The dan shen herbal remedies can also be used in the treatment of fibroids - also called uterine myomas - and various related menstrual problems in women. As an herbal remedy, the dan shen can prove to be very beneficial in the short term treatment of uterine fibroids and also in the treatment of skipped menstrual cycles. The ability of the herbal remedy to ease congestion in the pelvic region of women is acknowledged by many authorities of the traditional Chinese medicine (TCM); these experts say that the dan shen "releases" the congealed blood in the body, evident in the dark red clots found in the menstrual flow - it thus helps in eliminating clotted blood from the body. The dan shen based herbal remedies are also extremely helpful in the treatment of disorders such as hepatitis and long term liver damage affecting different patients. Chronic cases of hepatitis have been shown to be effectively treated by the dan shen in clinically measured trails. The fibrosis of the liver is also experimentally seen to be treatable using the herbal dan shen remedies - the herb acts to suppress and preclude fibrosis in the liver of affected patients. Dan shen is possibly safe when taken by mouth by most people. Dan shen can cause some side effects, including itching, upset stomach, and reduced appetite. There is some concern that dan shen might also cause drowsiness, dizziness, and a blood condition called thrombocytopenia. But there isn't enough information to know for sure if dan shen causes these side effects. Pregnancy and breast-feeding: There is not enough reliable information about the safety of taking dan shen if you are pregnant or breast-feeding. Stay on the safe side and avoid use. Bleeding disorders: There is a concern that dan shen might increase the risk of bleeding. If you have a bleeding disorder, don’t use it. Low blood pressure: Dan shen might lower blood pressure. In theory, taking dan shen might make blood pressure become too low in people with low blood pressure. Surgery: Dan shen might slow blood clotting, so there is a concern that dan shen might increase the risk of extra bleeding during and after surgery. Stop using dan shen at least 2 weeks before a scheduled surgery.